​​​Since 1998 we have been providing residential and commercial New England well water users our best irrigation, whole house, and business well water treatment systems. If you are a new or existing well water user with high manganese or other contaminants in Connecticut, Maine, Massachusetts, New Hampshire, Rhode Island, or Vermont, contact us today to see how we can improve the quality of your city tap water or well water. ​If you have a water test please fax it to 1-760-896-6999 or Email the results to WellWater@RainDanceH2OStore.com ATTN: Recommendation or have RainDance H2O test your water at no charge. 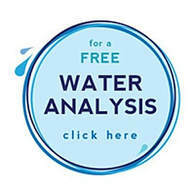 Details at Free Water Test - Save Money! Ask about our well water filter specials and discounts. Unlike most of our competitors, we have knowledgeable reps that use water wells, have hands-on well water experience, and use the well water products that we sell. Our focus is water treatment solutions for Mining, Aquaculture, Agriculture, Livestock Farm & Ranch, Beer Breweries, Wineries, Distilleries, Well Water, Chlorinated Hard City Tap Water, Borehole, River, Irrigation Water, Rain Water and Seawater Desalination. We have provided thousands of residential and commercial water system parts & products to be used on a variety of water sources including well water, city treated water, sea water, river, pond, borehole, waste water, rain water and more throughout the United States, Venezuela, Spain, Africa, Canada, Japan, U.K., Bahamas, Cayman Islands, Indonesia, Taiwan, Singapore, Kabul, Afghanistan, and Malaysia. A small sample of our commercial reverse osmosis system and water filtration client database includes: Tesla Industries, Ferguson Enterprises, The U.S. Army, U.S. Air Force, Northrop Grumman, Boeing, Anadarko, The U.S. Environmental Protection Agency (EPA), The U.S. Fish and Wildlife Federation, The United States Coast Guard, Federal Aviation Administration, U,S. Postal Service, Lockheed Martin, Gaffney-Kroese Supply Corp, Happy Cow Creamery, Safeway Ice Cream, Global Food Technologies, Harvest Food Group, Earthbound Farms, Affinity Flavors, Old Country Vineyards, Fairbanks Farms, Golden Eagle Thoroughbred Horse Farm, Buckridge Plantation and Horse Stables, San Diego State University, Arizona State University, Palomar College, Cornell University, Indiana University of Pennsylvania, Days Inn Arizona, Aquafauna Bio-Marine Inc., Alaska Clean Seas, Aquatic Exhibits International, Washington St. National Park Service, Miasole, Trico Products Corporation, Snake River Power Plant, South Placer Municipal Utility District, Berkley Surgical Corporation, Abengoa Energy of NE, Advanced Marine PTE., Quinlan Texas Elementary School, Hunter Industries, Sonance Corp., Sunex International, Owens Brigam Medical, 1st Choice GMAC Realty, Century 21 Realty, Coldwell Banker Realty, Austin Productions, Fairfield Country Club, Auer Precision Inc., Deer Park Monastery, Oral Bio Tech, Just to name a few.